Peter Salmon is an Australian writer living in the UK. He is currently working on an intellectual biography of Jacques Derrida, An Event Perhaps, which will be published by Verso in 2020. 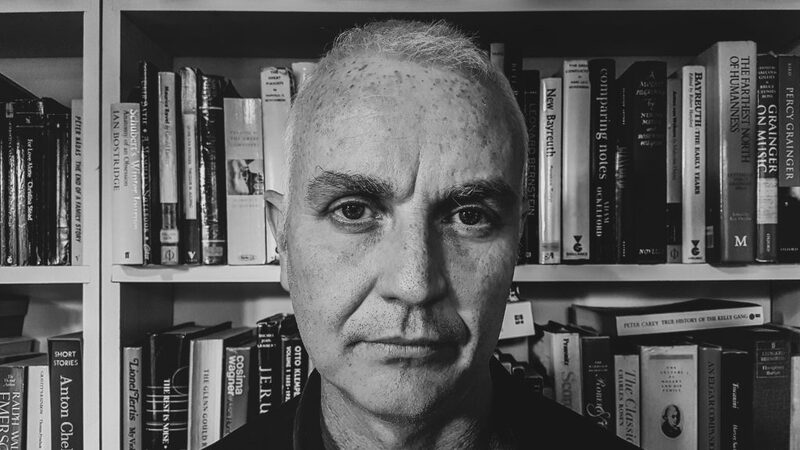 He is a regular contributor to the New Humanist, and has been published in the Sydney Review of Books, the Guardian, the Tablet, Cordite and Versopolis. His first novel, The Coffee Story (Sceptre, 2011), was a New Statesman Book of the Year. He has written frequently for Australian TV and radio and for broadsheets including the Guardian and the Sydney Review of Books. The Blue News, his satirical column about books and publishing, was subsequently collected and published by Melbourne University Press as Uncorrected Proof (2005). He has received Writer’s Awards from the Arts Council of England and the Arts Council of Victoria, Australia. Formerly Centre Director of the John Osborne/The Hurst Arvon Centre (2006-2012), he also teaches creative writing, most recently at Pembroke College, Cambridge and Liverpool John Moores University.